I recently tried using the Ancestry.com United States Obituary Collection after not using it for, say, five years. Something has happened since I last used it. When this database was first published it was a compilation of obituaries cached from other websites. The short database description seen when hovering over the title in the catalog still describes it as a compilation. But Ancestry.com seems to have scrapped the scrapes in favor of providing links to the original websites. I asked Ancestry.com when this took place, but didn’t receive an answer. Does anybody know when this change occurred? Caching other companies’ webpages and serving them up in static format never sounded legal to me. But it was sure good for Ancestry.com users. Obituaries in particular seem to be quite transitory. I mentioned to an Ancestry.com spokesperson that many links in the collection go to non-existent pages, or are redirected to pages that don't contain the cited obituary. He said that Ancestry.com’s engineers suggested I send him bad URLs for evaluation. Let me do that right now. Enclosed please find obituary links that need to be evaluated. According to the card catalog, there are 29 million of them. To print the list, go to http://search.ancestry.com/search/db.aspx?dbid=7545, fill your surname into the “Last Name” box, and click Search. Obit is Archived. $2.95 to view. I was tempted to keep going until I found one that worked, but don’t have time to check 29 million URLs. I had the same experience. I was given a link to a County Library and all I was able to access was the name index which was no help at all. Oh, don't get me started! I've found pages and pages of obits indexed by the newspaper's name! or sometimes the date it was published. How many people do you know named June 12? Or Houston Daily News? Yesterday I found Master Sargent died in several years and locations. Do the indexers get paid to do it wrong? Do they speak English? Why would they index a death notice with anything other than the person's name? I have done on line searches before for the actual name of the deceased using the list of names that survived. Duh! If I can figure it out, why can't they? Ancestry is getting worse and worse. I used to be able to find things. Not so much any more. Incorrect transcriptions, dead links, Errors in every category, it's a mess. Obituaries are a bigger issue than what's going on with Ancestry's obituary database. Obituaries are worth money to the newspapers that printed them. Three or four years ago, you had a good chance of getting a relatively recent obit-within the past 10 years or so-if you googled a name. Suddenly during the summer of 2012, those obits started disappearing and were all gone within a couple of weeks. I know this becaise I was relying heavily on obits during that time and was constantly looking for them. What happened was, newspapers finally figured out how to monetize their old content, and obits are a big draw. If you are lucky, you'll find the newspapers with the obits you need in the Google newspaper archives. However, at least one big newspaper in Charleston, SC recently pulled their hundred + years of digitized newspapers off the Google newspaper archive and is now only available through Genealogybank.com. I'm guessing that Ancestry's links are to content that has since been pulled from the internet. The obit index thing-I never figured out what the point of that was, since you cant get an obit from them. 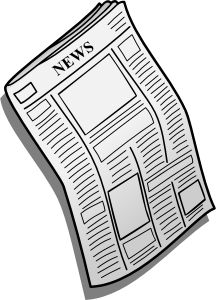 Typically your local library will have a subscription to Newsbank, which you can access through your library card for local obits. They also have a search function with which you can look for obits in other areas. Genealogybank.com is a good source for obits, but it is not free. There are also some search problems there; you have to be creative with your search terms. I've looked up names and gotten no results, but those names and obits popped up when I simply searched for the name of the cemetery they were in. The best thing to do when you do find an obit is to type it and post it on Findagrave. Then the obit and all the names in it become searchable, and since Findagrave.com is free, it is then available to everyone. Side note to Anna's comment. I agree with what you say. Also, within the last two years find-a-grave has been absorbed by Ancestry.com. So anything that is on there is used by many people. They steal any photo or obituary they want without putting the person who originally added the information. Also of note Ancestry.com has acquired the database of LDS. Their agreement I believe is LDS members have lifetime access for free others will have to be a part of Ancestry which is paid for to access. Thanks for this! Even a couple years ago the cached pages were there. In the past couple of weeks I've looked at dozens of error pages. One went to a Legacy.com page but the obituary was behind the Legacy pay wall. ONE link went to an actual obituary. Doing a Google search I was able to find one transcribed to another page. I asked about it on Ancestry's Facebook page only to be ignored. What's the point of having a collection of cached pages when the links go to live (error) pages?